Goldin family says Israeli government allows unprecedented amounts of cargo to enter Gaza, has not lifted a finger to bring soldiers home. 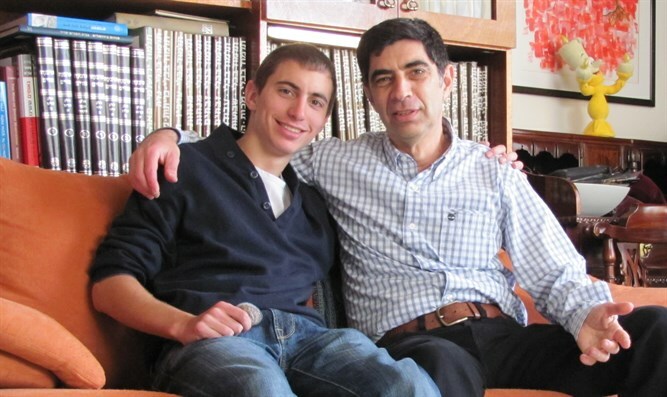 The family of Lieutenant Hadar Goldin sent a message on Saturday night to the Cabinet before their scheduled discussion regarding the return of the soldiers captured in Operation Protective Edge. This will be the first discussion on the topic since Goldin and Sergeant Oron Shaul, were captured and killed in Operation Protective Edge in 2014. "We expect operational decisions to be made during this discussion. We expect we will not hear the Prime Minister and his government tell us again that they are 'doing all they can' to bring our sons back. Over and over, this assurance proves itself to be an empty promise. We have a moral obligation, as a nation and as an army to bring our soldiers home from the battlefield," the family said. "Unfortunately, the Prime Minister has surrendered to Hamas, and given up on the idea of bringing Hadar and Oron home. The Israeli government has shown inexcusable weakness when dealing with Hamas. While Hadar and Oron were in captivity, Netanyahu released the bodies of terrorists. Hamas prisoners receive deluxe accommodations, and the government pays salaries to Hamas terrorists and allows enormous and unprecedented amounts of cargo into the Gaza strip. No other government has done such things," they said. The family also noted the Israeli government continues to provide aid to Gaza despite the kidnapping. "While we're building desalination plants for Gaza, the State of Israel is not even demanding information on Hadar and Oron. They are not holding any negotiations to bring them home," they said. "This government allows cargo into Gaza at an unprecedented rate, that no other government allowed in, ever. Israel allowed 100 tons of cooking gas and 300 tons of diesel fuel into Gaza in the past week alone. Anyone who thinks this fuel is aiding humanitarian causes should know that bringing bodies home for burial is also humanitarian, and it's also important to our religion," the family concluded. Hamas recently released two videos celebrating the captivity of soldiers Oron Shaul and Hadar Goldin.